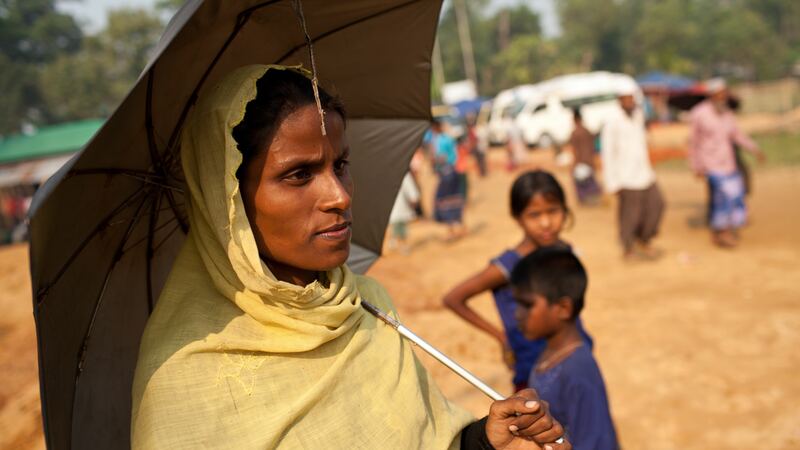 Ayesha Khatun, 22, is nine months pregnant and arrived at Balukhali refugee camp in Cox's Bazar with her in-laws in October. She spoke of her ordeal: "I had to leave home at night, it was raining hard. We had a tarpaulin which we used for shelter. To get here, we walked for six days. We ate only when people gave us food on the way. So far I haven't seen a doctor or taken any medicine."